There were signs all throughout town telling eight-year-old Connie where she could and could not go. But when Connie sees four young men take a stand for equal rights at a Woolworth’s lunch counter in Greensboro, North Carolina, she realizes that things may soon change. This event sparks a movement throughout her town and region. And while Connie is too young to march or give a speech, she helps her brother and sister make signs for the cause. Changes are coming to Connie’s town, but Connie just wants to sit at the lunch counter and eat a banana split like everyone else. 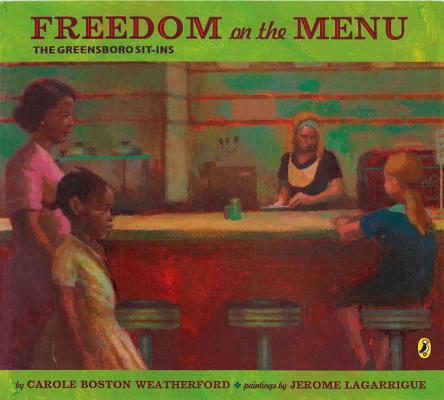 Carole Boston Weatherford lives in High Point, North Carolina.